At this level, we ask: How does self-esteem look when doing business with farmers and other outdoor entrepreneurs? What kind of a business relationship creates self-esteem among your farmer customers? When applied in the context of our 1 to 5 scale, (where 1 is completely transactional and 5 is a trusted, transparent relationship working for the success of the farming operation), self-esteem would rate a 4 on that scale. We find that over half of farmers have at least one business relationship that they would consider a 4. What have these suppliers done to create this level of relationship with their farmer customers? To achieve a level-4 relationship with a farmer, suppliers focus on their customers as individuals. They learn about how these growers farm before they offer too much advice. The most common refrain among farmers is “my farm is is different than my neighbors.” And if you take one look at national geological maps, you can see that it is actually true. And as we are continuing to find out, one field is not like another either. The more granular we can look at data, the more detail and differences we can see. Level 4 suppliers have long-term relationships with their farmer customers, providing years of good recommendations that increase yield, quality, and profits. When your growers are confident that they will achieve their production goals using your recommendations, that’s a level 4. There are few feelings that compare with the satisfaction growers get when combining a bountiful harvest, or when a producer watches a good load out on the livestock truck. These are the moments farmers live for, and the more moments you as a supplier can help them have, the more trusted you will be. 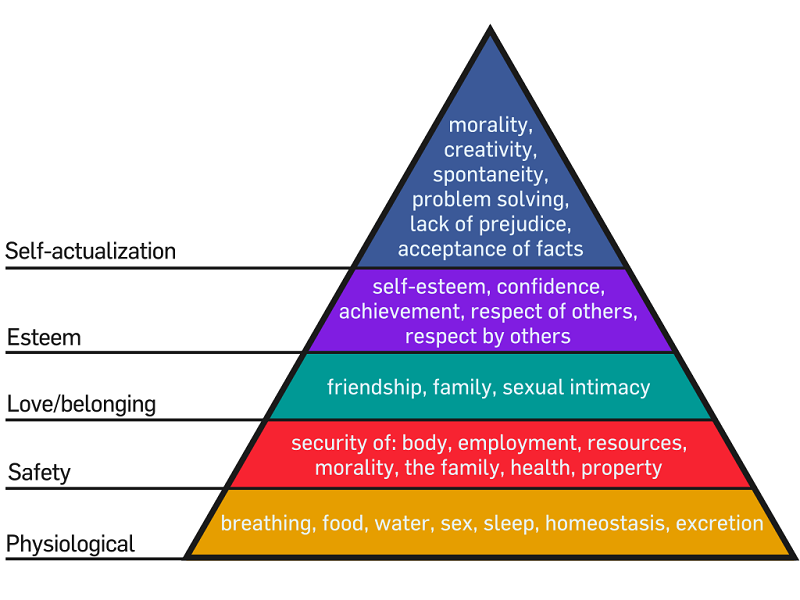 Next time, we’ll complete Maslow’s hierarchy with a look at self-actualization.